I think it's important to have fun and stand out with accessories and I think these are great for creating a statement! I based my look around the bag - picking out the colours in the bag and gems. 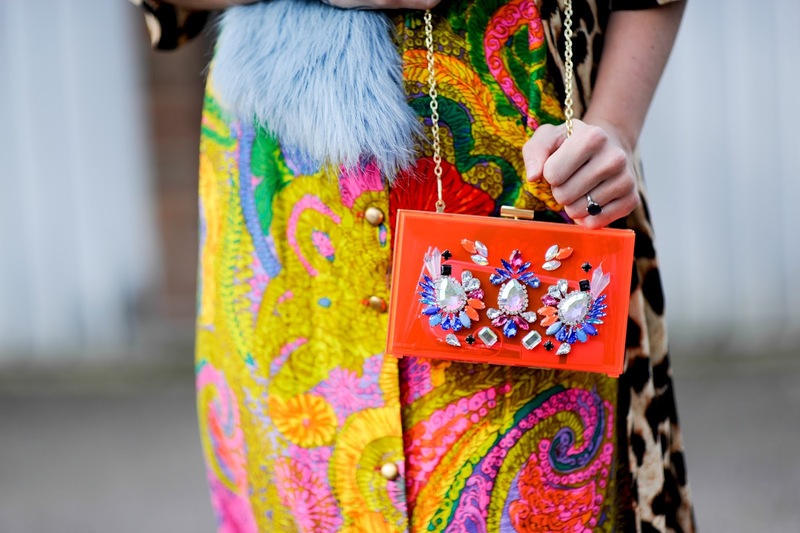 A super bright and fun look which is after all what spring summer is about! It's finally starting to feel warmer so I couldn't wait to show of my newest vintage find! 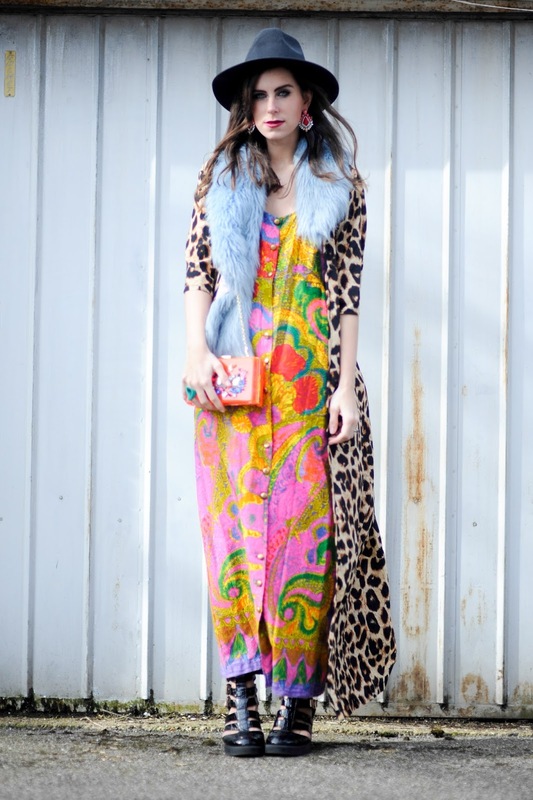 This floral print maxi is bright and colourful and one of my favourite finds this year so far. 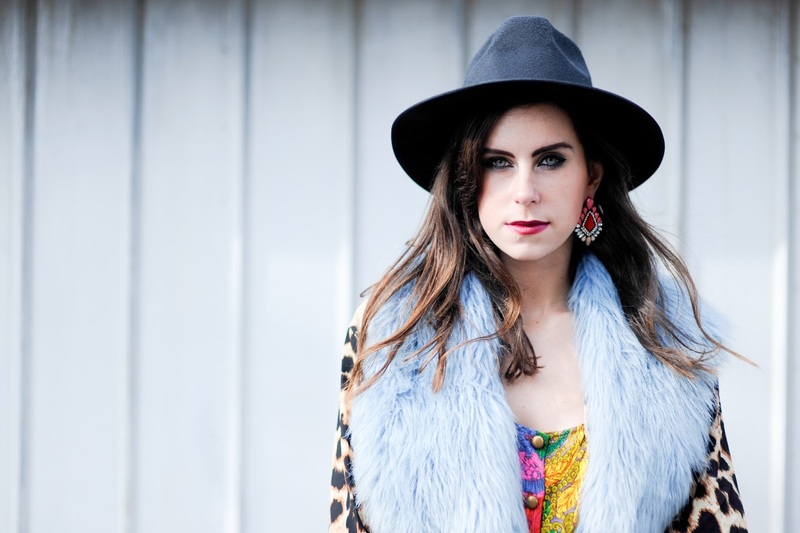 I went for complete clashing prints and teamed it with my leopard print kimono from Boohoo which is also one of my favourite items in my wardrobe right now. 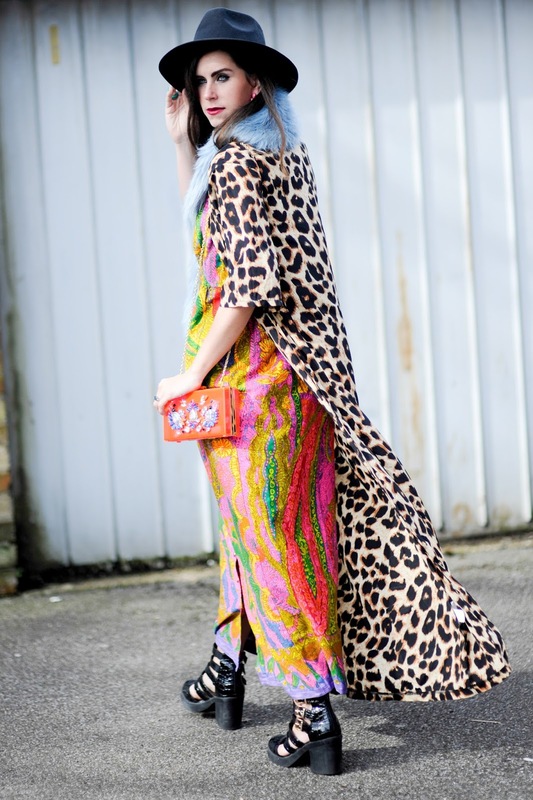 Accessorised with my blue fur and fedora and Boohoo cut out boots this is a spring look that is rainbow-tastic! What cool accessories are you wearing for Spring? Make sure you check out Skinny Dip and their amazing collection of bags and iPhone cases HERE! This Is A Love Song GIVEAWAY!